199 Marlborough Dartmouth is located on the NE corner of Marlborough and Exeter, with 197 Marlborough to the east, 11 Exeter to the west, across Exeter. 295-297 Beacon to the north, across Alley 418, and 16 Exeter (196 Marlborough) to the south, across Marlborough. 199 Marlborough (10-12 Exeter), a six-unit apartment building, was designed by architect Ernest N. Boyden and built in 1890 by David L. Rand, mason, for real estate dealer Seth Russell Baker. Seth Baker purchased the land for 199 Marlborough on April 24, 1890, from paper manufacturer and former attorney Samuel Dennis Warren, Jr., part of a larger parcel Samuel Warren purchased from the Commonwealth of Massachusetts on June 25, 1888. Samuel Warren and his wife, Mabel (Bayard) Warren, lived at 174 Marlborough. Click here for an index to the deeds for 199 Marlborough. Seth Baker is shown as the owner of 199 Marlborough on the original building permit application, dated June 11, 1890. He sold the property on October 20, 1890, to real estate dealer Nathan C. Bedell of Providence. It probably was still under construction and Seth Baker continued to be shown as the owner on the final building inspection report, dated December 20, 1890 (bound with the building inspection report, located in the Boston Public Library’s Arts Department, is a floor plan for the second floor). On January 1, 1892, 199 Marlborough was purchased from Nathan Bedell by Arthur Malbon Little, treasurer of the E. Howard Watch and Clock Company and later an investment broker. He lived in an apartment at 330 Dartmouth. Arthur Little married in November of 1892 to Mary Hayward Neale, and on March 15, 1897, he transferred 199 Marlborough to her. She died in September of 1898. He remarried in October of 1908 to Margaret Martha Watson. On January 3, 1924, 199 Marlborough was acquired from Arthur M. Little by Abbott Lawrence Lowell. At the time, it was composed of seven apartments. A. Lawrence Lowell was an attorney and President of Harvard. He and his wife, Anna Parker (Lowell) Lowell, lived in Cambridge. She died in March of 1930 and he retired in 1933. He then moved to 171 Marlborough, where he and his wife had lived prior to his becoming president of Harvard. A. Lawrence Lowell died January of 1943, and on December 14, 1945, 199 Marlborough was acquired from his heirs by real estate dealer Frederick E. Ordway. The property changed hands and on October 14, 1949, was acquired by John (Giacomo) Mescia and his wife, Adeline (Moccia) Mescia. They lived in Newton. On February 9, 1951, they transferred the property to Adeline Mescia as trustee of the Mescia Realty Trust. In June of 1954, John Mescia applied for (and subsequently received) permission to legalize the occupancy of 199 Marlborough as eight apartments and a doctor’s office. The property again changed hands and, on July 26, 1957, was acquired by the Amelung Realty Company, Inc. (Elisabeth A. Amelung, president). In July of 1958, it applied for (and subsequently received) permission to convert the property into a dormitory and one apartment, apparently for use by students of Boston University’s Sargent College. On September 22, 1958, the Building Department received a complaint from the parent of one of the students occupying the dormitory, expressing his concern about over-crowding and the lack of adequate egress. On September 29, 1958, the Building Department held a conference with Elisabeth Amelung, at which time it became clear that the dormitory did not meet code requirements. On June 20, 1960, 199 Marlborough was acquired from Amelung Realty by Boston University, which continued to operate it as a women’s dormitory, having made all the necessary fire safety and egress improvements required by the Building Department. On August 15, 1966, 199 Marlborough was acquired from Boston University by Chamberlayne School and Chamberlayne Junior College. It continued to operate the property as a dormitory. In the mid-1970s, Chamberlayne went bankrupt and on June 25, 1975, it transferred 199 Marlborough to Bernard P. Rome of Newton, trustee in bankruptcy. On December 15, 1976, 199 Marlborough was purchased from Bernard Rome by the Back Bay Restorations Company, Limited Partnership (Zena Nemetz, president, treasurer, and general partner). 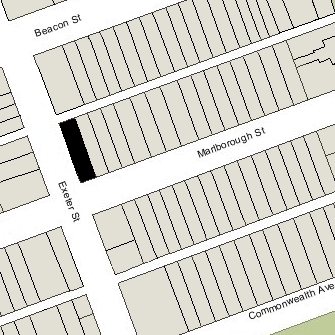 At the same time, it also purchased Chamberlayne’s properties at 238 Marlborough, 148 Commonwealth, 278–280–282 Commonwealth, and 298 Commonwealth). In November of 1976, it had acquired 274 Commonwealth and 276 Commonwealth, which also previously had been owned by Chamberlayne. 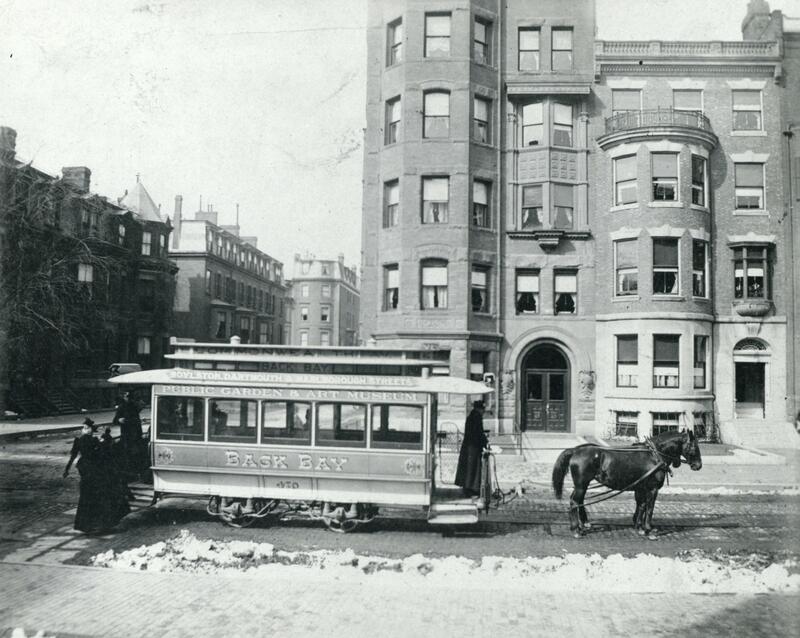 In conjunction with the purchase, Back Bay Restorations entered into an agreement with the Boston Redevelopment Authority (BRA) to operate the buildings as rental properties in exchange for being allowed to make yearly payments to the city in lieu of paying property tax on the properties. 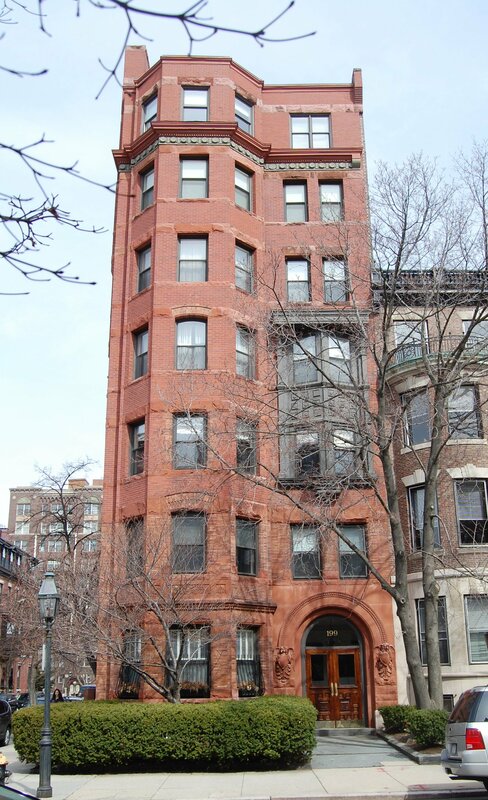 In October of 1979, Back Bay Restorations applied for (and subsequently received) permission to convert 199 Marlborough from a dormitory and one apartment into eighteen apartments. 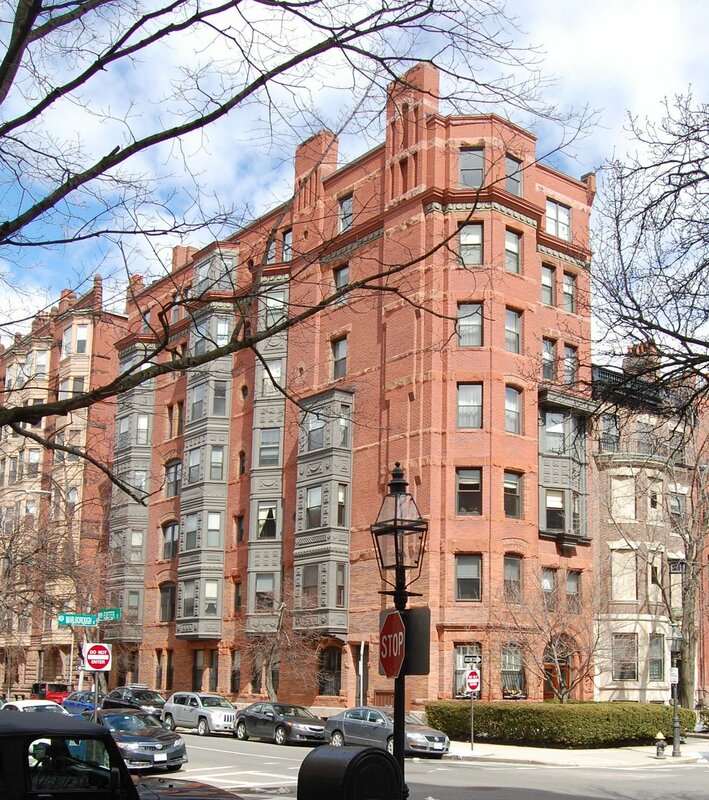 On February 3, 1984, Back Bay Restorations converted 274-276-278-280-282 Commonwealth into condominiums, and on September 24, 1984, it converted 148 Commonwealth, 298 Commonwealth, 199 Marlborough, and 238 Marlborough into condominiums. 199 Marlborough was converted into eighteen condominium units, the 199 Marlborough Condominium. In March of 1985, the BRA brought legal action for violation of the 1976 agreement, and in July of 1985, Back Bay Restorations signed a consent decree agreeing to keep most of the units as rental apartments for three years and to provide relocation costs to tenants previously forced to move out. On February 24, 1992, the St. Paul Federal Bank for Savings foreclosed on its mortgage to Back Bay Restorations and sold all of the condominium units at 199 Marlborough, 238 Marlborough, 148 Commonwealth, and 298 Commonwealth to Managed Properties, Inc., of Chicago. On June 29, 1992, Patricia M. Bailey, trustee of the PBH Realty Trust, purchased the condominium units at 199 Marlborough and the other three properties from Managed Properties, Inc. She subsequently sold the units to individual buyers.